AJAX loading One Pager for London-based designer and developer, Andrew Styles. That change-mood feature is a real neat touch adding some personality to the portfolio. Hello. 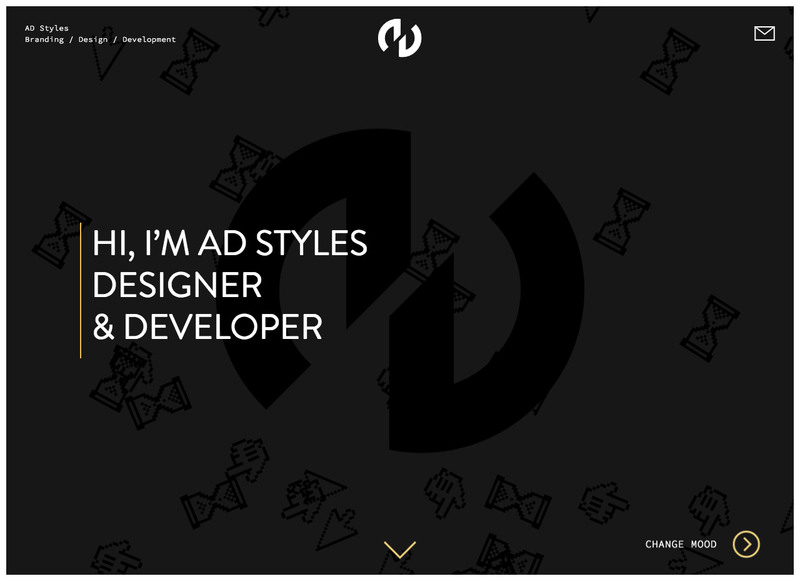 I'm Andrew Styles, often known as 'AD' [ey-dee] Styles, a freelance digital creative based in Shoreditch, London. I create brands and websites. I'm a designer and a developer. So I can design how your site will look, and code it up too. I work closely with my clients, taking an iterative approach to projects - a combination of sketching, wireframes, prototyping, proofs and development.